Hello Every one today I am going to do one more website review of an online store which sells healthy and delicious snacks. 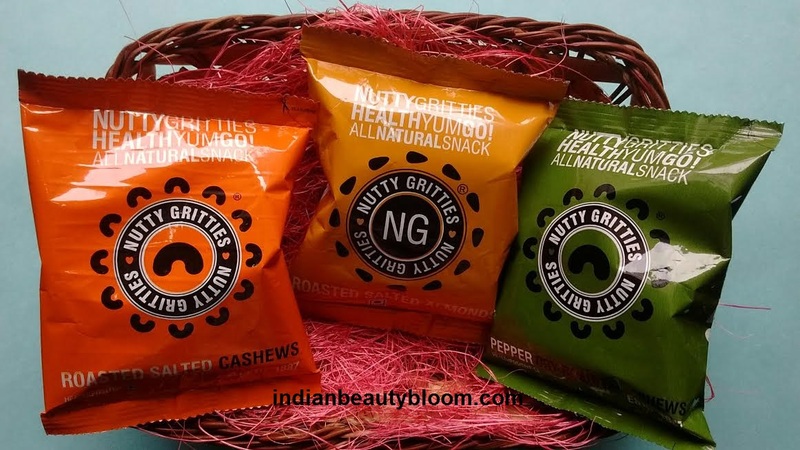 Nutty Gritties is an online store where one can find variety of healthy and delicious snacks. 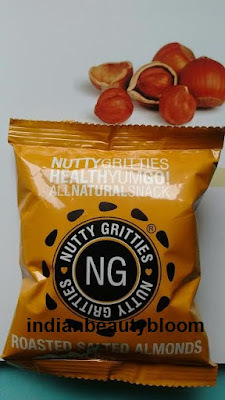 The main ingredient they use in their snacks are various types of nuts . 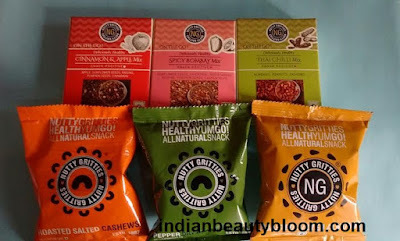 My Snack box from this site had six healthy snacks including roasted almonds , cashews , apple cinnamon mix etc . 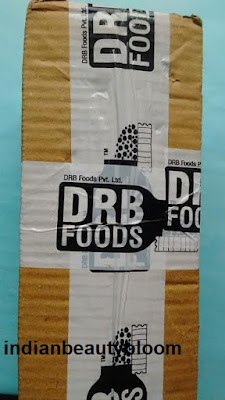 The products were packed nicely in a box and I got products in good condition . There were three packs of dry fruits , roasted and salted almonds and cashews . 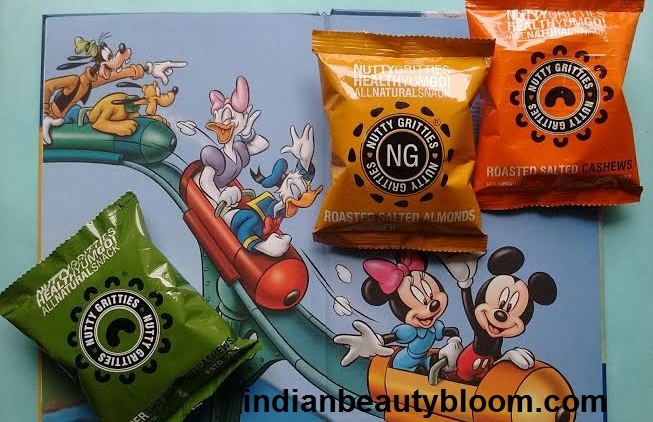 Price of each pack of 40 gms is Rs 60 only . I loved the taste of Cinnamon apple mix , its a mix of raisins , pumpkin seeds , dry apples with cinnamon flavor , an Exotic & Delicious Snack . My favorite from all these snacks is Roasted Salted Almonds . 1. Contains natural and healthy ingredients like various dry fruits like almonds , raisins , cashews , hazelnut , pumpkin seeds , sunflower seeds etc. 2.All its products are certified by FSSAI . 3. No artificial color , fragrance or preservatives added . 4. These snacks are suitable for people of all age group including small kids . 5.Almonds and pistachoes help to maintain blood sugar level . 6.These nuts are rich in antioxidants , Vitamins and minerals so very good for health . 8. Price is affordable not too high . 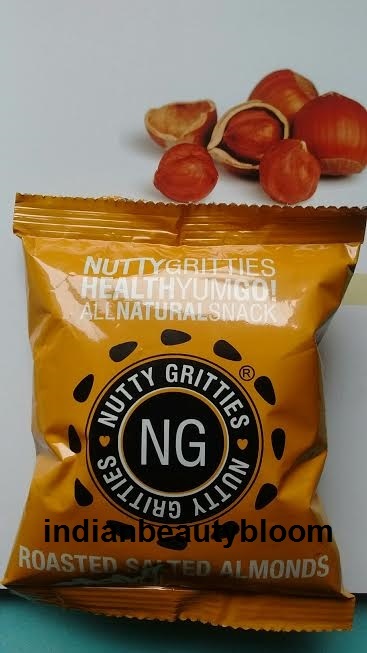 I always prefer healthy snacks as they are good for health , help to maintain blood sugar level normal , help to maintain weight , gives instant energy and since Nuts are rich in antioxidants they boost our immune system,help to be stronger from inside,help to de-stress our body and mind . So when one is getting an excellent and healthy snack at an affordable price one should go for it . They ship all over India. 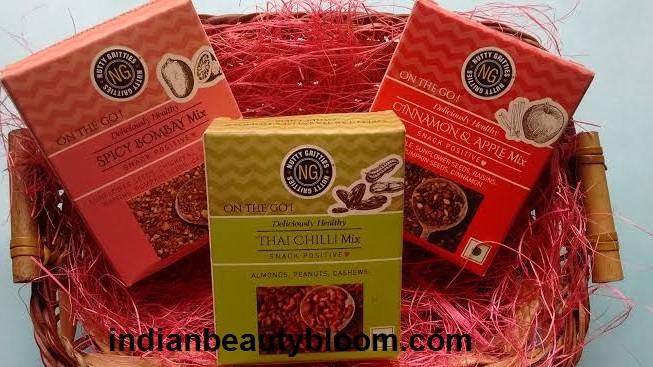 One can choose from variety of healthy snacks and can make their own Snack Box as per their choice and requirement .